This cannabis strain has a short flowering time. Height plant indoor: 80-140 cm. Height plant outdoor: 160-200 cm. Effect of smoking this weed is a powerful, longlasting relaxation. Bubble Kush from Royal Queen Seeds is a feminised cannabis strain with Indica dominant genetics. These weedplants are originated by crossing the very popular O.G. Kush x Bubble Gum. This strain is loved by many because of her great taste and pleasant effect. 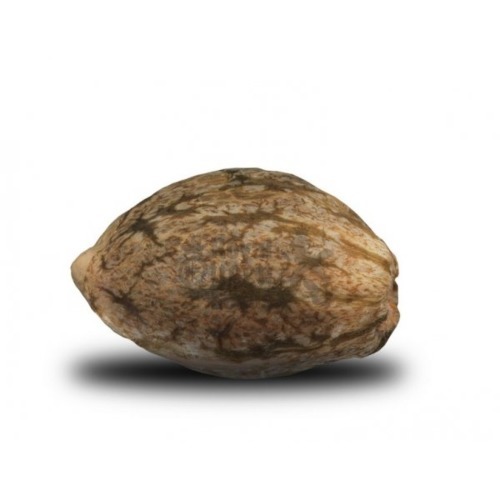 Royal Queen Seeds Bubble Kush are cannabis seeds that makes you able to produce fantastic cannabis plants, which have a great taste and give you an amazing yield. The buds are large, have a beautiful dark green color and a high percentage of THC. The effect of smoking this cannabis is a powerful and long lasting relaxation, for a wonderful relaxing evening. 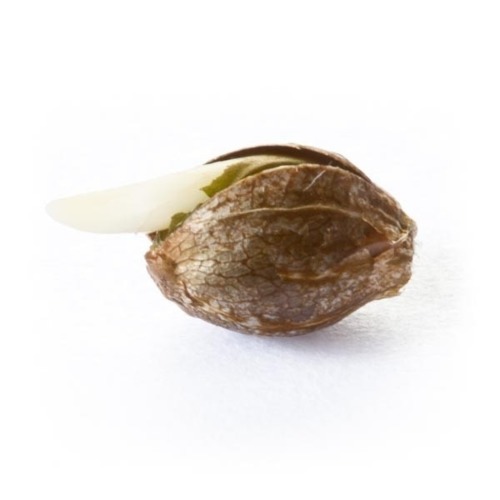 The results will surprise you if you are growing these feminised cannabis seeds. 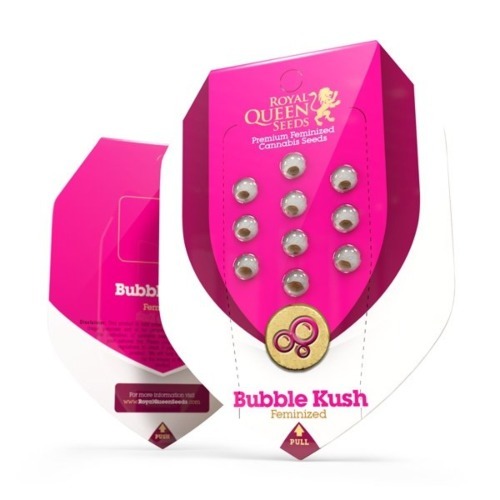 Tell us and our customers what you think of the Bubble Kush from Royal Queen Seeds.